Due to rising awareness of the all of the toxic (and potentially carcinogenic) chemicals that are in household cleaning products, green cleaning has become increasingly more popular over the last several years. Many have adopted green cleaning practices at home to protect the health and wellbeing of their kids and pets, which has caused an explosion in the residential green cleaning industry. Nowadays, you can buy eco-friendly cleaning products right off the shelf at your local supermarket, or easily hire a home cleaning service that only uses natural cleaning solutions. Our homes are becoming safer and greener, which is a positive trend that we are very proud of. But what about the cleaning products and practices that are used at your office building, workplace, or place of business? It’s just as important to go green at work as it is to go green at home. The health and wellbeing of employees is something everyone should value, not to mention engaging in sustainable and environmentally responsible business practices. – Phenol/Carbolic Acid (most commonly found in disinfectants): Phenol, also known as carbolic acid, is a hazardous air pollutant. It can also severely irritate the eyes and burn skin upon contact. When inhaled, phenol is highly corrosive and attacks the central nervous system, heart, lungs, liver, and kidneys. – Formaldehyde (most commonly found in mold and mildew cleaners): Formaldehyde is a carcinogenic chemical, air pollutant, and irritant to the skin, eyes, and mucus membranes. Household cleaners that contain formaldehyde contaminate our “ambient air” and cause symptoms such as severe nausea and headaches, nosebleeds, difficulty breathing, and memory loss. Inhaling formaldehyde can also increase your risk for nasopharyngeal and lung cancers. 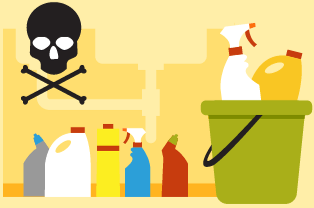 – Ammonia (most commonly found in glass cleaning products): Ammonia can cause severe irritation to the eyes and skin upon contact and can also cause damage to the respiratory and digestive tracts upon inhalation. Ammonia is especially poisonous to aquatic animals (including fish, marine mammals, and amphibians), and has fatal consequences when it is released into our waters and ecosystem. – Phosphates (found in most general cleaning products): One of the largest culprits behind ocean pollution is phosphates, which are responsible for algae overgrowth and the subsequent depletion of oxygen in our oceans, rivers, and streams. Ultimately, high phosphate levels are fatal and create an unlivable environment for both aquatic wildlife and plant life. 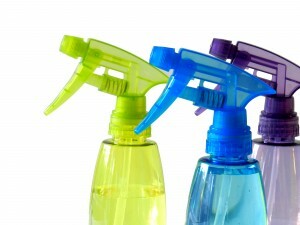 When it comes to human exposure to phosphates in cleaning products, symptoms such as nasal and throat irritation as well as skin rashes are not unusual. We know it is intense and a bit frightening to learn of what’s really in that smelly cleaning solution that is used to wipe down your desk each week, or what dangerous VOCs you are breathing in at the office all day… Yikes! But knowing these facts about toxic chemical exposure is necessary in order to protect our health, reduce our overall environmental impact, and make our facilities and professional workplaces healthier, safer, and better places for all! For more information on how to integrate green cleaning practices into your office’s, business’, or facility’s professional cleaning routine, contact GBS today! Besides cleaning green and sticking to sustainable janitorial practices (which not only is better for the air and environment, but also better for the health of employees and the overall success of a business), there are many other ways you can create an eco-friendly workplace. Whether it’s bringing in plants to green up the office or choosing to ride your bike to work, even small changes can make a huge impact. Check out the tips below from The Economic Times and find out what you can do to help make your business greener. With environmental consciousness on the rise, companies are going the extra mile to reduce their collective carbon footprint — by installing solar panels, using eco-friendly appliances and organizing tree-planting initiatives. They are also encouraging employees to take individual steps towards a better environment. ET tells you how to move towards a cleaner and greener workplace. Measures should be taken to make office campuses cleaner and greener. Recycling waste paper, using shared transportation and having a no-smoking work environment can make a huge difference, says Vikas Goswami, head of Good & Green, GILAC. Sensitising and involving employees in environmental activities is also a requisite. Having small potted plants inside the office helps to improve the quality of air, feels Mohan VC. “What’s more, plants always brighten up a place.” Added benefits? Having plants around your work-area can also significantly reduce stress and boost your productivity. “Put computers on ‘standby’ or on ‘hibernation mode’ when they haven’t been accessed for more than 10 minutes; turn them off when you’re done for the day,” says Mohan VC. Company measures to go green will be half-hearted without employee participation and proactiveness. Awareness is important, says Goswami. 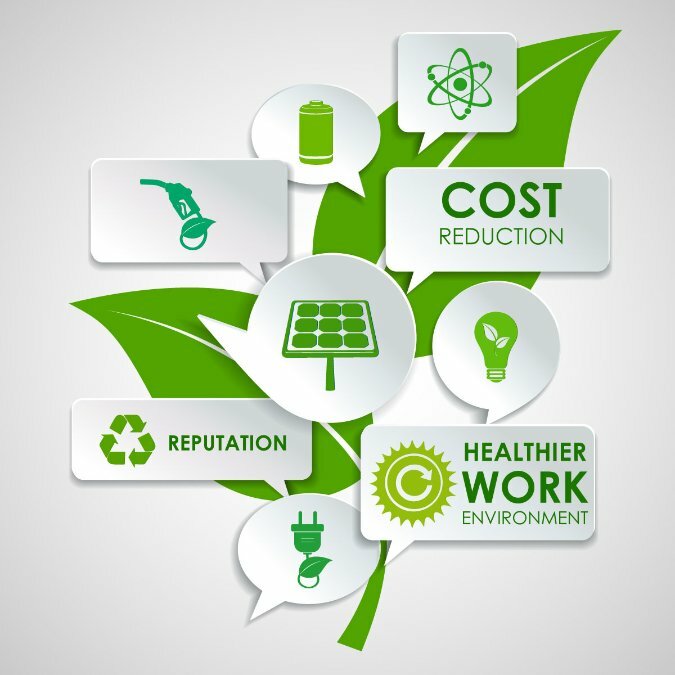 Sensitize employees towards a greener workplace, and generate interest towards a cleaner and greener office environment. Spring Cleaning doesn’t have to be so scary. Get started on revitalizing your work space by following these easy steps! 1) Pick a date. 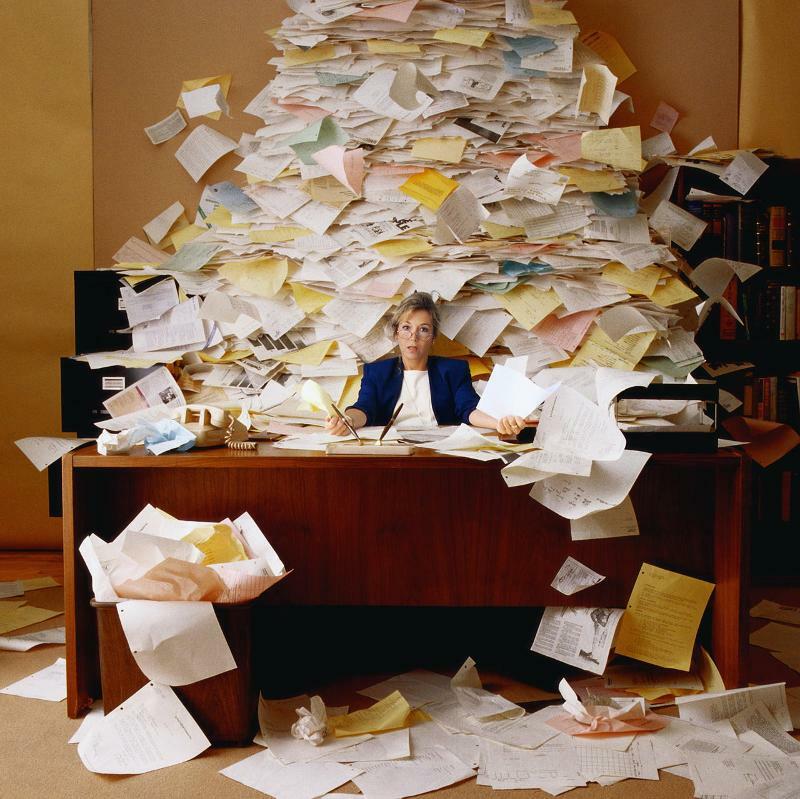 It is easy to keep putting off dealing with the piles of clutter on your desk, but procrastinating what you need to get done will just cause you more stress. 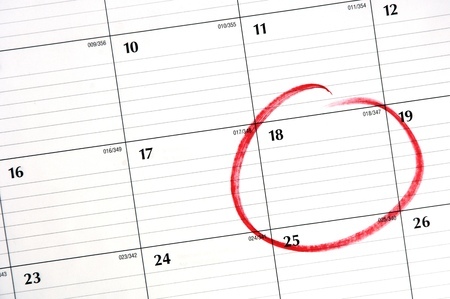 Plan ahead and schedule your Spring Cleaning day into your week so that you can stay on top of it! You will feel much better knowing that a date is set, and it will empower and inspire you to feel ready to tackle your office chores. 2) Start sorting! A large stack of papers and things can be really quite daunting; our desks and drawers collect lots of items throughout the years and it may feel impossible to get through at first. But the key to organizing is first sorting. 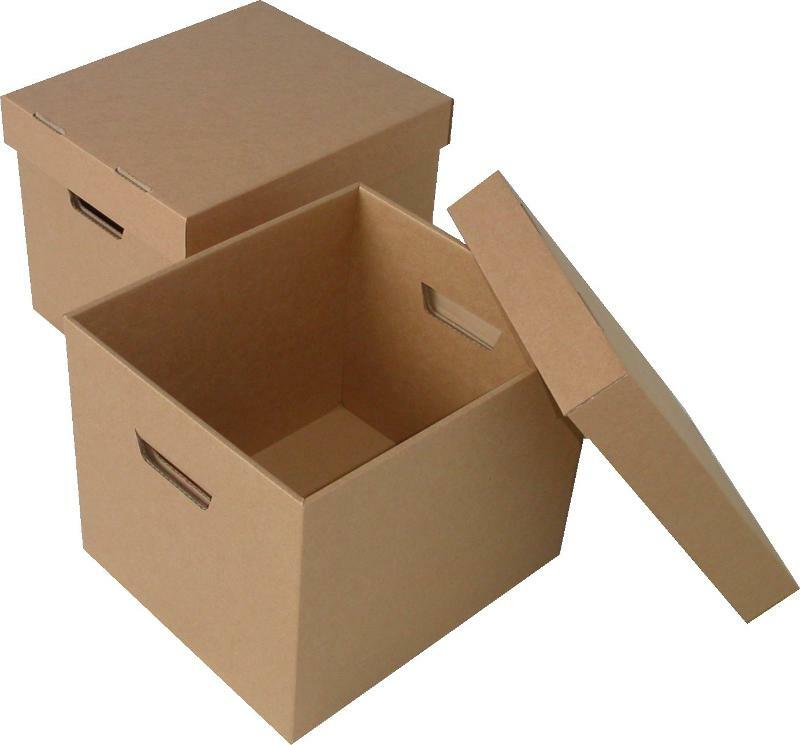 Grab some boxes or containers, assign labels (such as, “trinkets,” “papers,” “supplies,” “photos,” etc. ), and just start picking things up and dropping them into the correct box. Once everything is sorted by type, it will be much easier to go through your stuff and decide what needs to be kept and what needs to be tossed! 3) Take your time. No matter how badly you want to get your Spring Cleaning over with, don’t rush. The last thing you want to happen is to move to quickly and end up throwing something out that you actually needed to keep! Be sure to stay present and as you go through your things, ask yourself, “Do I need this? Have I used this in the last 30 days? Will I really miss this if it’s gone? Is this replaceable?” If you are unsure about something, create a miscellaneous file folder and stow it there. 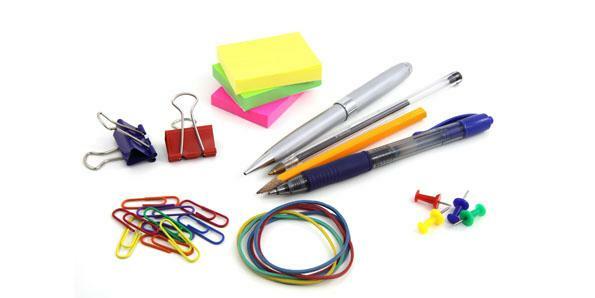 For office supplies like pens and scissors, you only need a couple working pens and one pair of scissors, so do not be afraid to get rid of the rest. 4) Recycle and clean green. 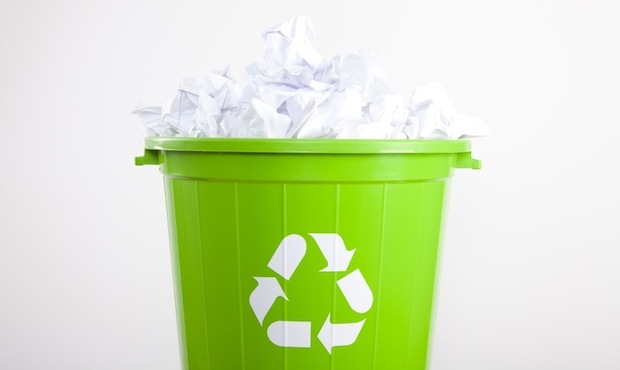 ALWAYS recycle whatever you can and donate working office supplies, and don’t bring in toxic chemicals to tackle any messes– they will only pollute your indoor air. 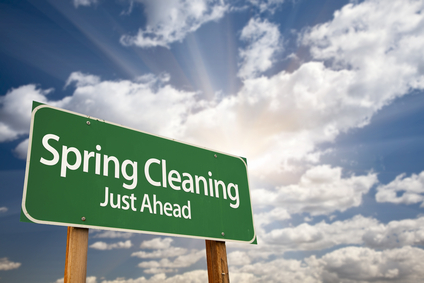 Need help with keeping it clean and green this spring? Contact GBS! 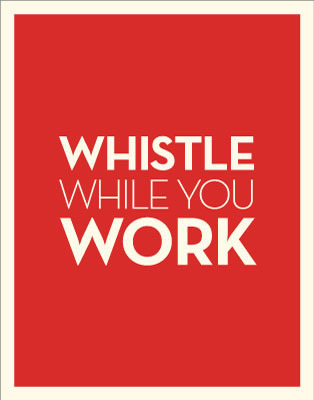 5) Whistle while you work! Don’t make Spring Cleaning such an awful drag. Put on some good music and get in the zone! It also helps to get a friend or colleague to join you so you can have a buddy while you work (it’s always nice to have a teammate on your side!). Happy Spring Cleaning! Spring is Almost Here! Why Hire a Commercial Cleaning Company? 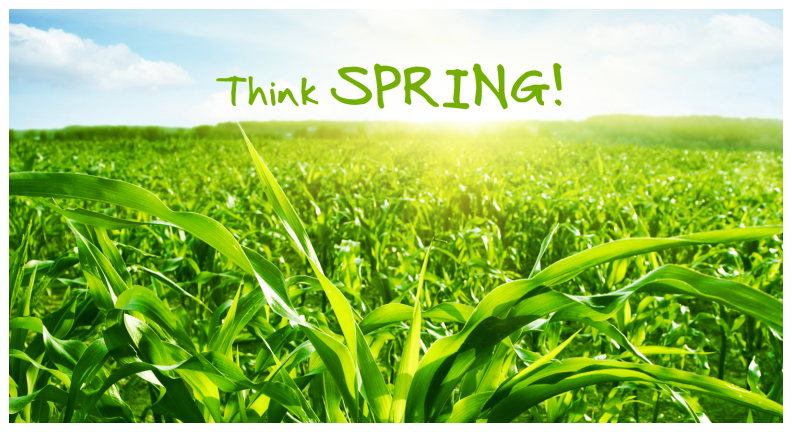 Winter is on its way out and it’s time to start thinking about preparing for spring! The dawn of the new season not only brings us nicer weather, but it also brings us the opportunity for a fresh start, giving its name to the well-known annual tradition of “spring cleaning.” If you own a business, or maintain an office, building, or any other type of facility or workspace, then the thought of “spring cleaning” may seem very, very intimidating… and that is normal! To get things organized and clean in time for spring (and to maintain this all year long), there is truly so much to do. Cleaning up the winter muck from all of the windows, carpets, and floors alone is enough to make your spring to-do list feel daunting and endless. But don’t panic just yet— help is out there! 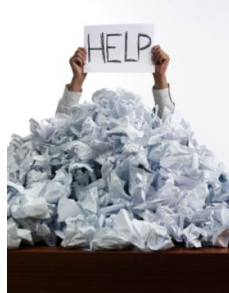 Outsourcing these chores to a commercial cleaning company can really help make “spring cleaning” a breeze and can cut your daily, weekly, and even monthly maintenance to-do lists down to zero moving forward. – It improves the appearance and quality of your office, business, and/or facility. When your space is clean and well kept, it is more inviting and comfortable; people (customers, visitors, and employees alike) will greatly appreciate and enjoy its new, clean look and sparkling atmosphere! And even after the whirlwind of “spring cleaning” is over, it’s still important to follow a cleaning regimen so that your space and working environment can stay tidy, organized, and look and function its very best. If your space is not kept clean, then you will not keep customers or employees. -It improves your employees’ health and overall work productivity— a clean workspace is an efficient and successful one. Keeping your space clean does not just have aesthetic implications; sanitization is absolutely necessary in order for employees, customers, and visitors to also feel as safe as possible. Clutter can cause accidents, believe it or not, and dirty floors can cause falls (cleaning your facility is truly a liability). From bathrooms to desktops, to carpets to windows, germs and dirt also hide every where; the amount of germs and pathogens that exist in an average work or business environment is staggering, and we cannot begin stress more how vital it is to protect the health and wellbeing of those who work for you. If your space is clean and sanitary, you can count on employee attendance and feel confident that they are coming to a safe, healthy, and happy place to work each day. Furthermore, it’s also important to prioritize the efficiency your work environment— it’s been proven that a clean workspace maximizes employee morale, productivity, and is an integral benchmark for your business’ success. 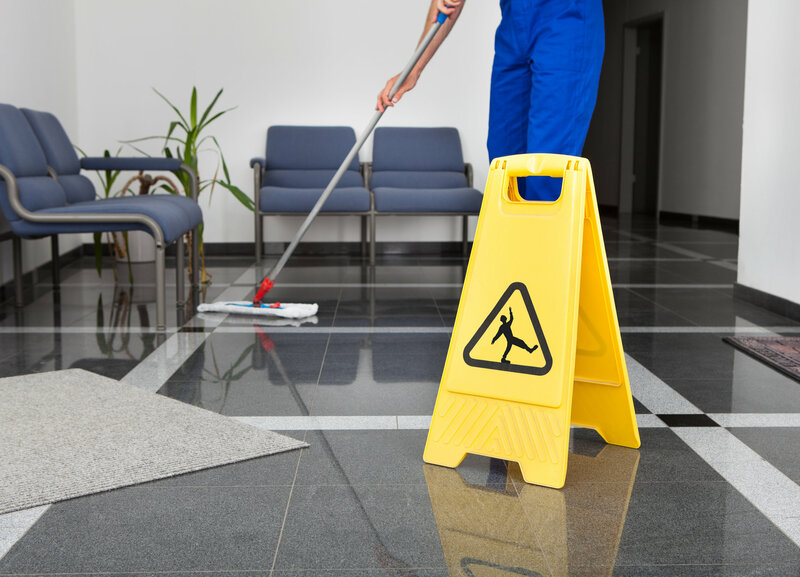 Hiring a professional janitorial service to ensure your space is routinely disinfected and cleaned is a practical (and necessary) business decision. 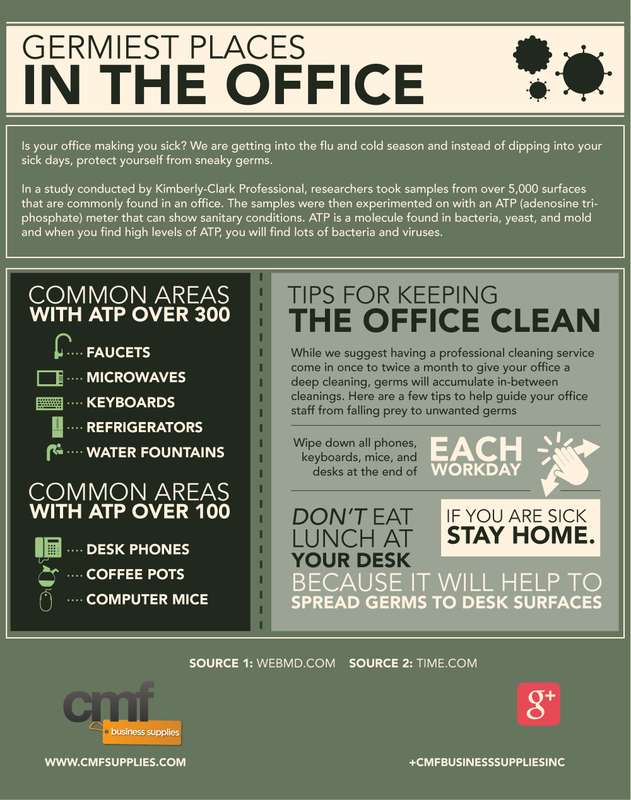 Feel free to check out the following infographics to find out how clean your office really is and why a clean and green office is a healthy office! –You can use a commercial cleaning company as often or as much as you need. 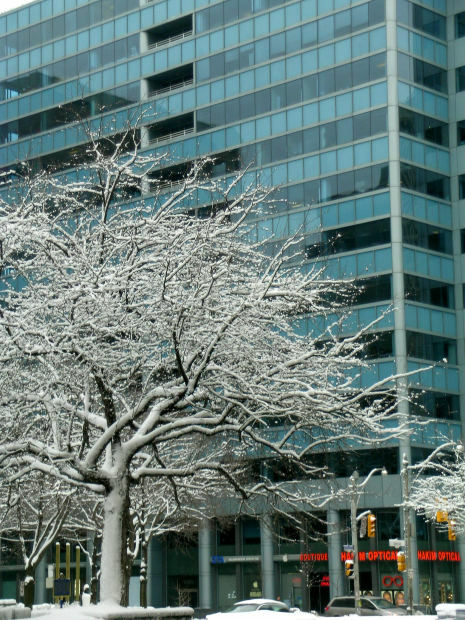 At GBS, we customize our janitorial and facilities services to fit your exact needs. We assess your space in person and work closely with you to design a service proposal that is the perfect, personalized plan. Whether its daily, weekly, or monthly, we are here to listen to your janitorial and maintenance needs and make sure that your space is well taken care of at all times. Interested in learning more about how we can help you keep it clean and keep it green? Click here! Adding a little “green” to your workspace is truly a game-changer! Not only do plants help to clean and filter out the toxins, chemical residues, and pollutants that are commonly found in indoor air, but they also have many functional benefits. Having plants around your workspace inspires productivity and efficiency, boosts morale and attendance, and even soothes stress while lowering blood pressure. We love this infographic from Ambius below illustrating the power of plants in the workplace. From offices and schools to hospitals and hotels, plants really do help to keep it clean and keep it green!